Ian White, founder of the Australian Bush Flower Essences is a fifth generation Australian herbalist, who has been in practice for 40 years. Ian has researched how our native Australian Bush Flower Essences can be of great benefit for children or adults dealing with ADHD. The Essences can also be very helpful in supporting the parents of any child with ADHD. The Australian Bush Flower Essences have been used for over 30 years in over 70 countries around the world. They are totally safe, inexpensive, easy to use and are powerful catalysts in resolving negative emotional states and enhancing learning skills. The Bush Essences can greatly increase the quality of life for you and those around you. Ian White, founder of the Australian Bush Flower Essences is a fifth generation Australian herbalist, who has been in practice for 40 years. Ian has researched how our native Bush Essences can be of great benefit for children or adults dealing with ADHD. The Australian Bush Flower Essences can also be very helpful in supporting the parents of any child with ADHD. The Bush Flower Essences have been used for over 30 years in over 70 countries around the world. They are totally safe, inexpensive, easy to use and are powerful catalysts in resolving negative emotional states and enhancing learning skills. The Bush Flower Essences can greatly increase the quality of life for you and those around you. Jen Dreghorn - Specialist Naturopath - Wellbeing Clinic Naturopath Jen Dreghorn specialises in supporting children and adults with neurobehavioral disorders such as ADHD. She uses a bio-medical approach, focusing on identifying and helping correct issues with neurotransmitter balance (the brain chemicals which control how we think, feel and act), supporting the gut-brain axis, addressing nutrition and any other areas impacting behaviour, mood and sleep. Jen typically utilises a combination of a thorough case history with laboratory and functional testing to determine what is the underlying cause behind your child's presentation. These may include blood pathology, genetic testing, pyrrole testing, heavy metal screening, stool analysis and food intolerance. Jen will then guide your family through your child's treatment with much empathy and bucket loads of support and resources. Qualified psychotherapist with a degree from The University of New England Qualified Vedic Meditation Teacher Certified Chakra Therapist Lesley-Anne began her working life as a solicitor, and was in private practice for over 20 years. During these years she practiced in all area of the law and acted for many clients from all walks of life. As a result she developed a deep interest in human behaviour. The workings of the human mind became a passion, and this passion led her to a change of career. She went back to university and studied counselling and psychotherapy. Lesley-Anne then ran a successful psychotherapy practice for 16 years. She worked with many clients with a wide range of issues, including depression and anxiety. Having counselled refugees for many years she is also experienced in working with trauma. 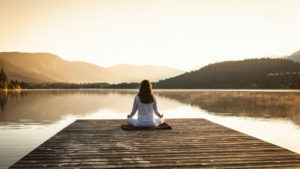 After learning Vedic Meditation during her years as a psychotherapist she decided to transition into becoming a meditation teacher and mentor because of the profound benefits she experienced from the technique. Lesley-Anne has been trained by the world’s leading Vedic Meditation teachers and has a wealth of experience. It is her desire to make Vedic Meditation available to everyone. Carolyn Ledowsky is the founder of MTHFR Support Australia. She is a naturopath, herbalist and nutritionist who has a Bachelor of Herbal Medicine, Bachelor of Naturopathy, Advanced Diploma of Naturopathy and Diploma of Nutrition, also having studied courses in genetics at Duke University and The University of Maryland in the US. Carolyn is a results-oriented health expert who has the ability to provide straightforward and practical advice to address your specific health issues, working with you through the entire course of your healing. Carolyn’s key focus is looking at how your genes impact your health and make you more susceptible to disease. This insight and a thorough health history is invaluable in setting a correct path for your future health. Carolyn is a regular speaker at MTHFR events and provides both patient and practitioner training through her many webinars/presentations and on-line learning environments. She regularly contributes to Dr Jess Armine’s radio programme on Blog Talk Radio in the US, has worked with supplement company Nutrition Care on a national MTHFR speaking tour and is an expert contributor at Conceive Baby. My Peaceful Universe - Mindfulness and Meditation for Children Isabelle Mary Fitzgerald is the the founder and owner of My Peaceful Universe an organisation on the Northern Beaches, Sydney that teaches mindfulness and meditation to primary school children. "At My Peaceful Universe, we are all very passionate about Mindfulness and Meditation as we truly believe a focus on kids creates a solid foundation for health outcomes later in life, making this a long-term investment in the future of our children." Isabelle Mary Fitzgerald is a certified Mindfulness Mentor with the Mindfulness Mentoring Institute and holds level 2 certificates in Meditation from Nature Care College. Isabelle also holds certificates in Mindfulness for Wellbeing and Peak Performance and, Mindfulness and Maintaining a Mindful Life from Monash University. Isabelle is currently teaching Mindfulness and Meditation classes to children, as well as curating courses for Insight Timer the world’s leading Mindfulness Meditation app. Isabelle’s meditations have now been listened to over 100’000 times around the world. Jane Miles Medical Herbalist | Clinical Nutritionist | Iridologist | Kinesiologist | Mindfulness Teacher I am a naturopath with 20 years experience in natural health solutions for children and families in offering natural and effective treatment options for children with ADHD/ADD. Nutrition is very important focus of mine with many children presenting with intolerances. I also like to educate my clients with a deeper understanding to the brain’s chemistry by gene and methylation testing. Herbal and nutritional support is very effective in relaxing the nervous system, releasing stress and calming the mind either alone or to support alongside conventional therapy. Revi Pressman, Osteopath Revi Pressman is a functional osteopath. She strongly believes in the body’s ability to heal itself with personalized treatment enhancing the process. While using her knowledge of anatomy and physiology, she approaches each patient with a gentle touch, using osteopathic craniosacral techniques. She offers a tailored treatment to suit the patient’s specific needs while incorporating a compassionate and holistic approach to achieve optimal treatment outcomes, thus promoting health and wellbeing. The treatment is aimed to improve physiological function and/or maintain the stability of the human body’s internal environment in response to changes in external conditions. The treatment is given in a supportive and comfortable environment to allow relaxation which promotes health. She sees in my practice a wide variety of conditions and presentations as the use of gentle techniques makes the treatment suitable to a wide variety of patients with different needs and in different stages of life.